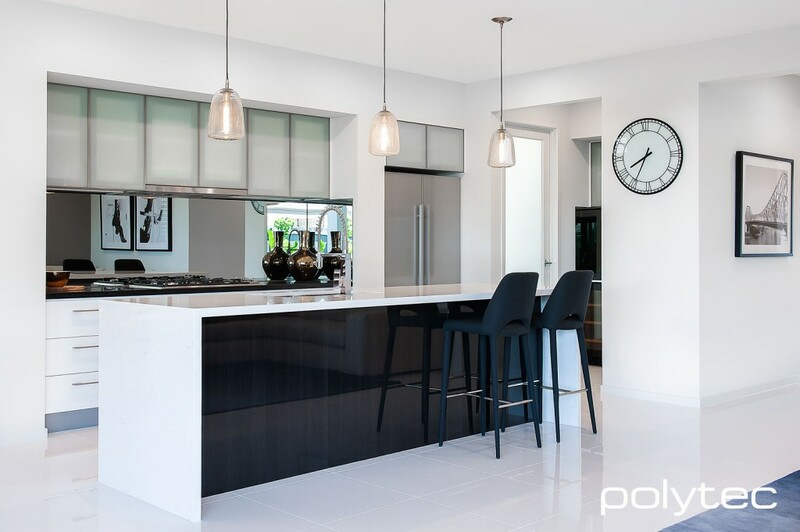 Kitchen lighting is so important when designing your kitchen – it’s an aspect of your design you need to consider from the beginning of your kitchen refurbishment. 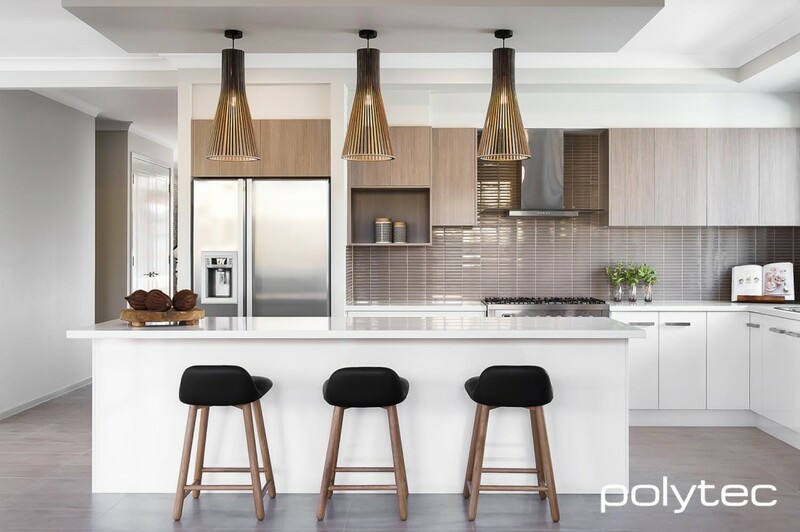 You will need to think about task lighting – lights over your benchtops where you are preparing food, ambient lighting (overhead lights and light from window sources) and accent or decorative lighting. While many of us love to jump right in and think of decorating our island benches with stylish pendant lights, like any good design, you really need to have the functional lighting in place first. 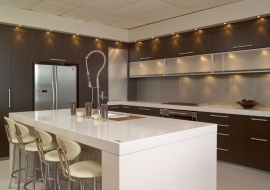 This article from the Houzz website provides some good advice on how to get the lighting right in your kitchen. With so many colours, styles and lighting combinations from which to choose, it can be tricky to know where to start. 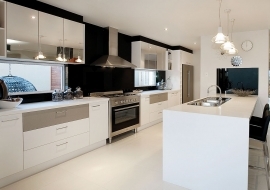 You might love a design, but how will it look in your kitchen? And what if the light it gives off isn’t up to the task? When it comes to pendant lighting, Dan Kitchens kitchen designer Vagn Madsen follows a few simple rules. “Don’t buy pendant lights without first checking the size by creating a mock-up,” Madsen advises. “That 50cm-diameter pendant light might not sound big, but when placed in the room it could easily look enormous.” He suggests bringing a sample home, cutting out the shape in cardboard, or simply measuring it out with a tape measure in situ. 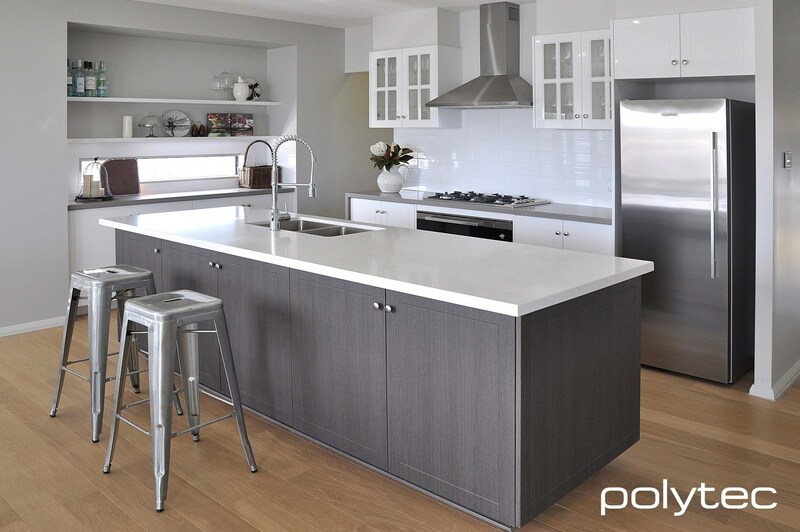 TIP: Don’t choose a style of light that does not match the style of kitchen – it has the potential to be jarring. Having several sources of lighting in a kitchen allows you to adjust it as needed – an important consideration given that kitchens are often part of an open-plan/dining zone. The kitchen is a dynamic space used for different reasons throughout the day and evening, says Madsen. Someone sitting at the island to read the morning paper can benefit from the excellent illumination of a pendant light, for example, while turning on range hood lights, ceiling lights and wall cabinet lights makes it easier to prepare meals. Leaving the wall cabinet lights on softly enables people to navigate around the kitchen at night. Madsen advises planning the lighting before or duringthe design of the kitchen, rather than leaving it until the kitchen is complete. 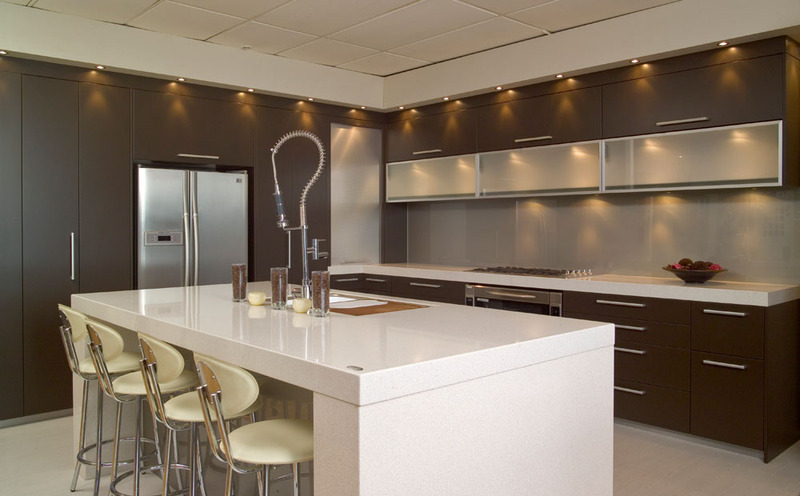 According to interior designer Sophie Seeger, ambience is paramount when choosing kitchen lighting. Dimmers allow you to control the intensity of lighting, and the more control you have over lighting the better. Not all lighting types are compatible with dimmers, however – florescent lighting, for example. Checking with the supplier is a must. But should you choose white or yellow-toned light bulbs? Recent research suggests that cool white light is in fact bad for you because it suppresses your melatonin production – the hormone controlling your sleep cycle. “On the down side, warm white LEDs are slightly less energy efficient than cool white LEDs,” Madsen says. Choosing pendant lighting to go over the island can be the most stressful for homeowners because a design can change the whole look and feel of a kitchen. Madsen advises to firstly make sure the size of the pendant suits the size of the room. “Too often we have seen pendant lights installed that are too large, gaining too much attention to the eye and dominating a space,” he says. 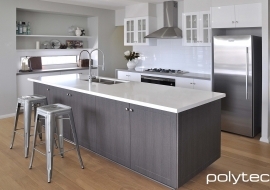 But how high should you hang them above the benchtop? 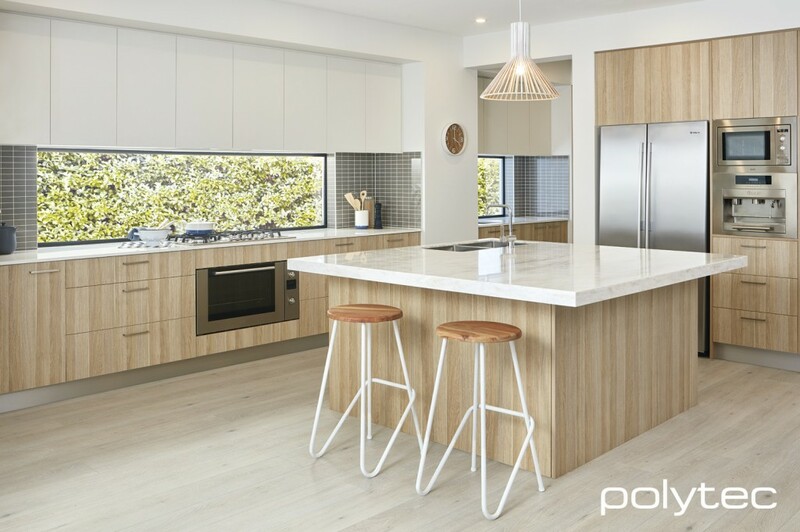 “As a general rule, we position the bottom of the pendant 60-70cm above the benchtop surface,” Madsen says. This dimension can change, however, depending on the size of the pendant – smaller pendants can be positioned lower while larger can be placed higher. 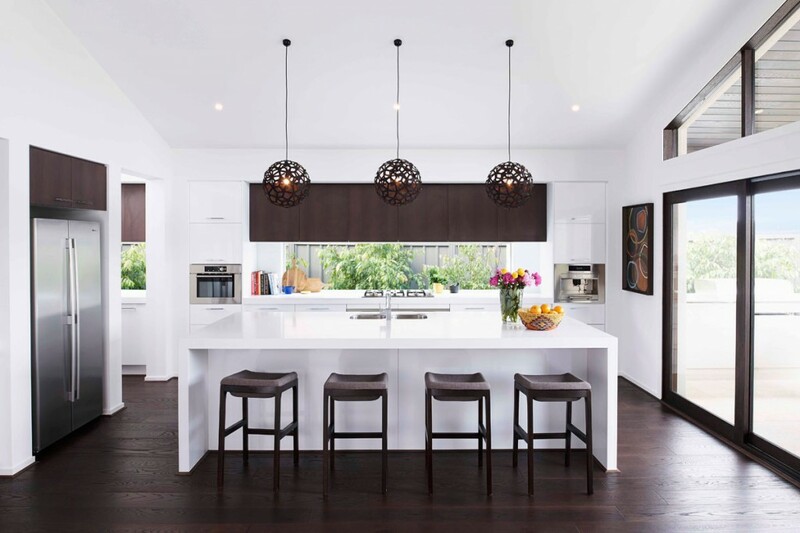 TIP: Madsen advises checking with your supplier that the pendant cord can be extended to suit the correct height above the benchtop. Keep in mind that it’s often harder to extend pendants hung by a chain. As for pendant design, Madsen says it pays to ask yourself these questions: Does the style of lighting match the style of kitchen? Does it pick up any of the colours, materials or texture present in my kitchen? Where possible, the designers at Dan Kitchens always try to bring an element of natural light into a kitchen, whether through windows or skylighting. “Natural light should provide plenty of illumination, and it also has an uplifting emotional effect,” Madsen explains. “For me, nothing beats walking into my kitchen in the morning with sunlight filtering through the window, creating a soft glow.” On the downside, direct natural light contains UV, which over time will fade some materials in the kitchen. If direct sunlight in your kitchen is an issue, check your kitchen designer is specifying UV-resistant materials in your new kitchen. 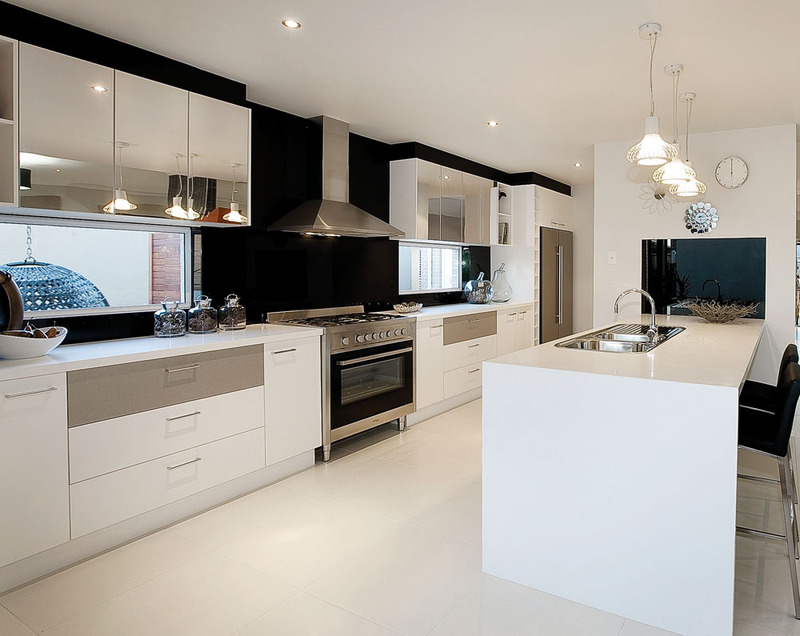 It’s also important to consider whether you prefer white light or warm light for your kitchen. Madsen recommends LED downlights in a warm white because they are efficient, provide excellent illumination, have low heat output and are cost effective over the life of the bulb,” Madsen says. “It’s only been in the past two years that LEDs have been our preferred under cabinet light; before then LEDs were simply too expensive and unreliable.” TIP: Don’t buy cheap LED lights. Although they may advertise the LED will last 30,000 hours, quite often it is the hardware behind the LED that fails first. 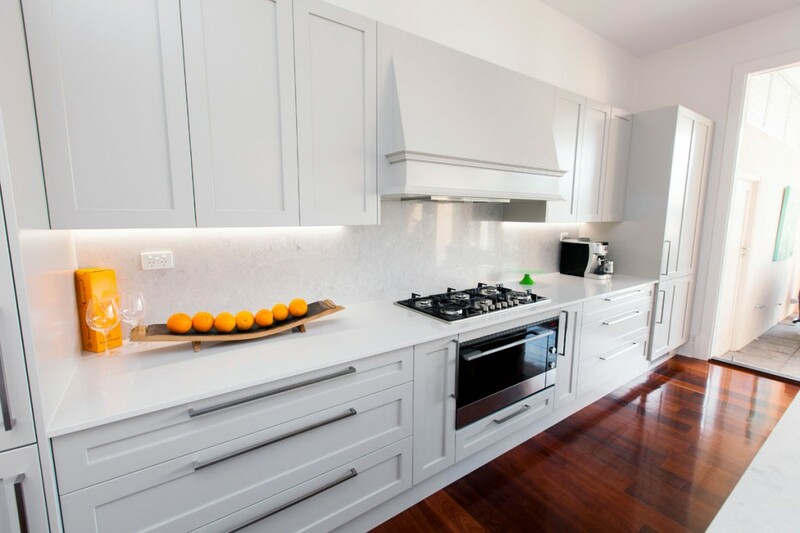 Used the right way in modern, sleek kitchens, strip lighting can look fantastic, not just under the cabinets, but around kickboards, above cabinets, beneath open shelving and in bulkhead recesses. “We specify either florescent or LED strip lighting, depending on the application,” Madsen says.